On Tuesday, July 21, 2015 the Angels Camp City Council will meet at the Firehouse in Closed Session to discuss the Difu, Croletto, Rosato and Turco lawsuit against the City and the Lighting District. July 21, 2015 at 3:55 PM: A semi tractor is partially blocking Hwy 4 around Appaloosa Way just west of Angels Camp. Use extra caution if heading in that direction until CHP can get it moved. Butch is a beautiful Manx neutered male, just waiting to go home with you. 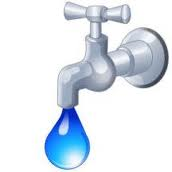 July 21, 2015 at 12 Noon: An animal of some type has been reported on Hwy 4 at Big Trees Road in Murphys. The Sheriff's Office has been dispatched and Animal Services notified.. Use extra caution if in that area. July 21, 2015 at 10:55 AM: A car has been reported as parked across the 2500 block of Fairway Drive in Arnold, causing a traffic hazard. CHP is en route to the location. This was an anonymous report. Did you know that Ben & Jerry's Ice Cream actually has a flavor graveyard. We discovered it while looking to see what happened to one of our favorite flavors. 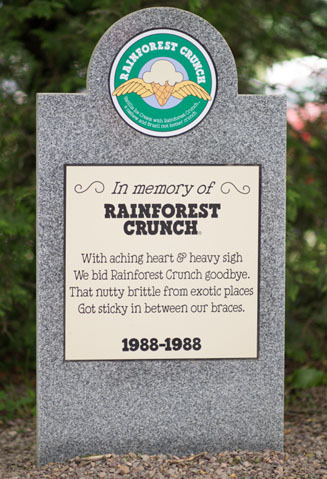 Rainforest Crunch (can't believe it was clear back in the 80's when they ended it) was absolutely delectable. July 21, 2015 at 10 AM: A fire has been reported on Milton Road off Hwy 4 below Copperopolis. At this time it is apparently around 1 acre in size in the grass, and is spreading slowly. Cal Fire has dispatched several units to extinguish this fire. 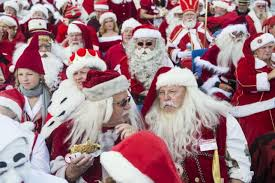 the World came to meet at the annual Santa Congress. 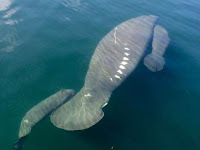 This mama Manatee had twins off the coast of Florida a week or so ago. It isn't that common, so tourists have been hoping to get a glimpse of them. This shot was taken near Homosassa Springs. July 21, 2015 at 8:30 AM: CHP is providing traffic control on Tulloch Dam Road off Hwy 108 so a stolen vehicle can be recovered from the South Shore of Lake Tulloch. Use extra caution if heading that way. The vehicle has significant damage and is not drivable, but no injuries were reported. UPDATE: Minor injuries were indicated in this crash. July 21, 2015 at 6:35 AM: A caller reported to CHP that there is a man sitting on the ledge of the Bird Road overpass of Hwy 99 in Tracy, looking like he's going to jump. CHP is en route as well as the San Joaquin County Sheriff's Office.